MERRY MERRY CHRISTMAS, BUT NOT A LONELY LONELY CHRISTMAS! My Christmas wasn't lonely at all, early christmas a surprise parcel box arrived my house, guess who it's? 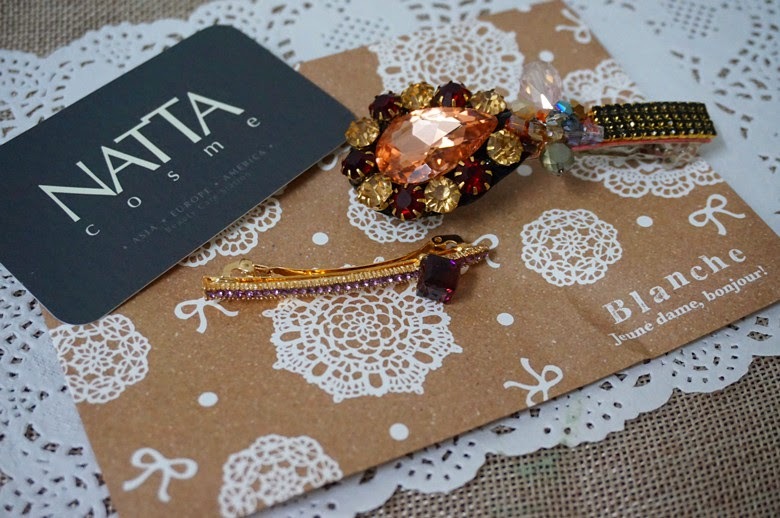 It's from Natta Cosme!! 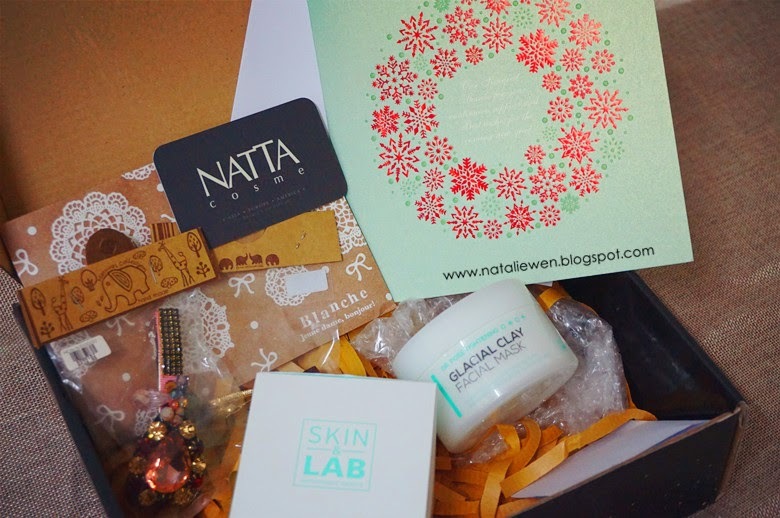 Thanks Natta Cosme always being so sweets bringing us all the hot selling products for us! Love ya! Love the hair clips so much, Thanks you for the gifts! 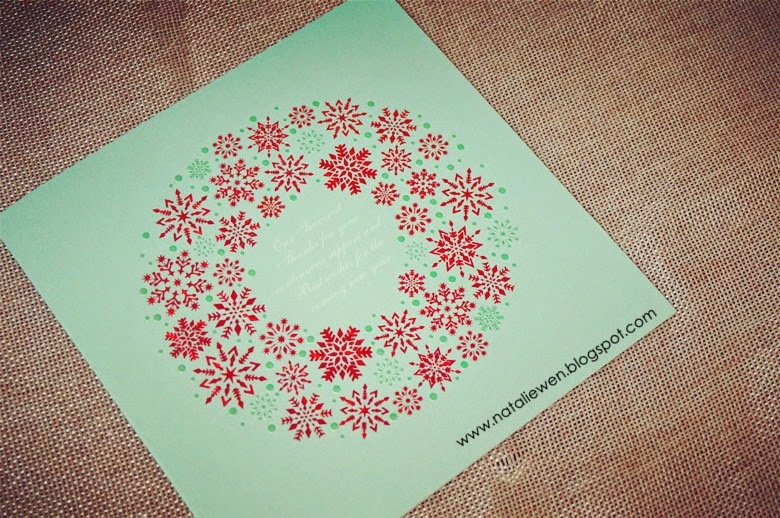 A warmest greetings card from Natta Cosme! Merry Christmas and Happy New Year! 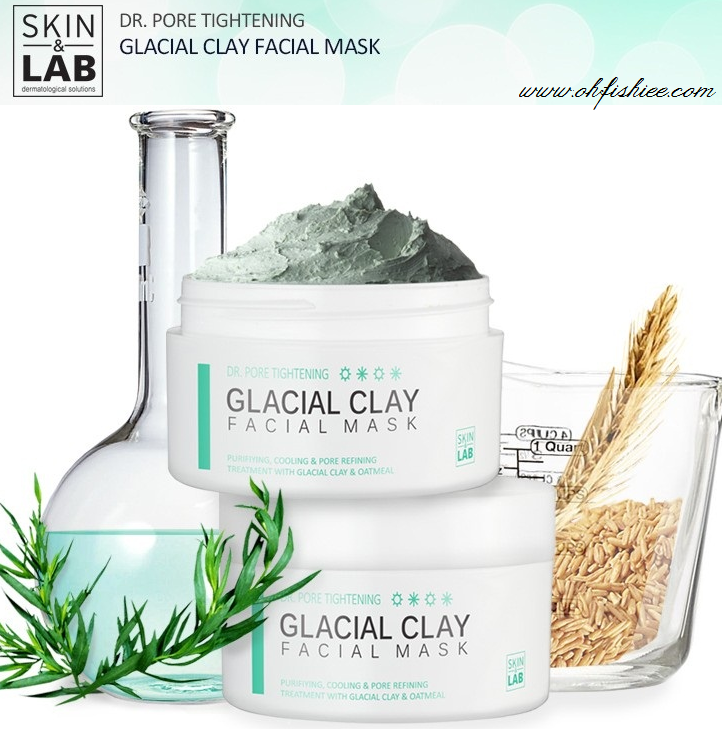 Introduce to all my readers the Skin & Lab Dr.Pore Tightening Glacial Clay Facial Mask from Korea. Working life are hectic and stressful rite? Don't forget to pamper yourself no matter how busy you are! 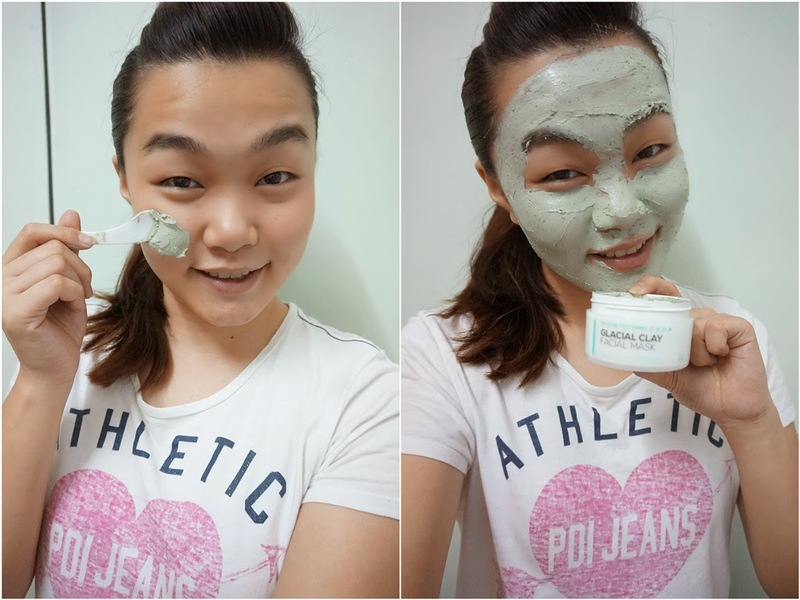 Doing facial mask is one of my favourite activity once I'm free~ especially bottle mask! It's kinda convenience to use and feeling like burden free on my face while doing facial. 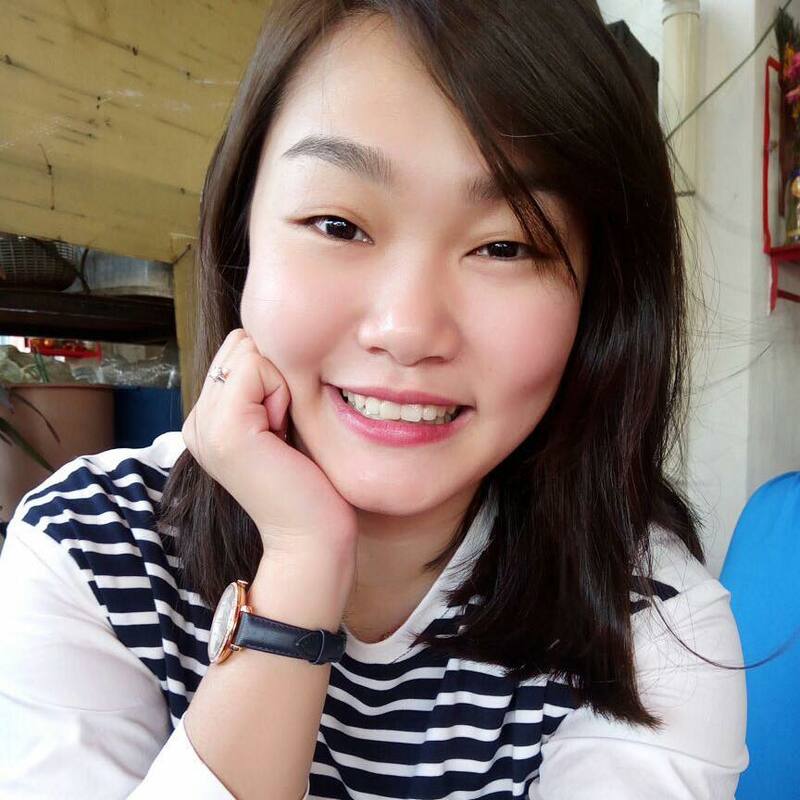 Little introduce for Skin & Lab, it is a Specialized Derma Cosmetic Band. It developed based on long-time experiences authorized dermatologist and promising you long term results of having a clearer & firmer skin. What the function of this Clay Mask? It helps to purifies our skin, firming the sagging pore walls and minimize the enlarge pores. 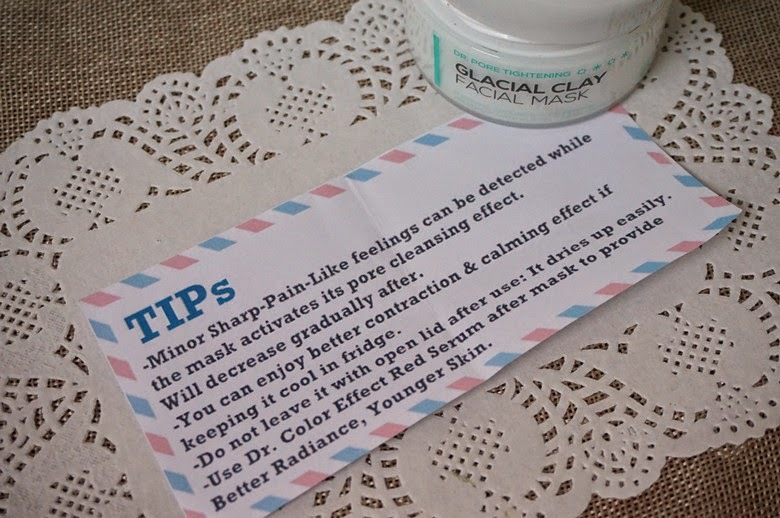 One of the mask effect are impressing me is it may helps to absorbs the excess sebum and prevent of having a strawberry nose which is black heads! This is how the Clay Mask look like! It a bit sticky and have a sense of fresh mud and seaweeds. 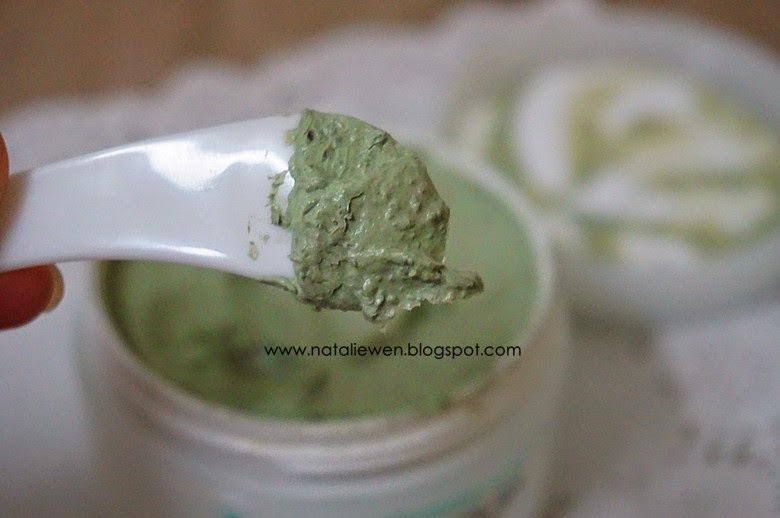 What is the ingredients of this Clay Mask? 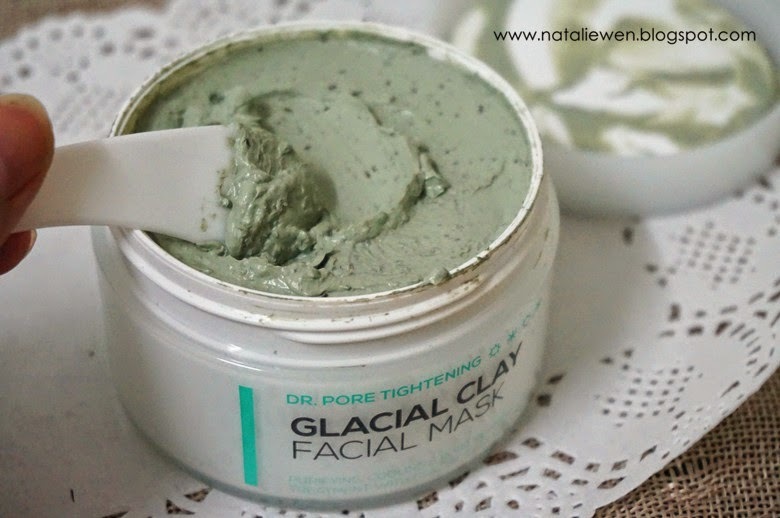 It from Canadian Glacial Clay, Oatmeal and Tea Tree Leaf. 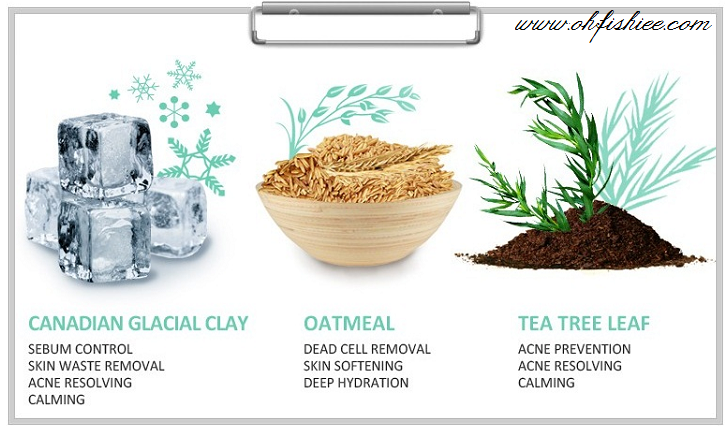 Tea Tree Leaf Function as > > Acne Prevention/Acne Resolving / Claiming. 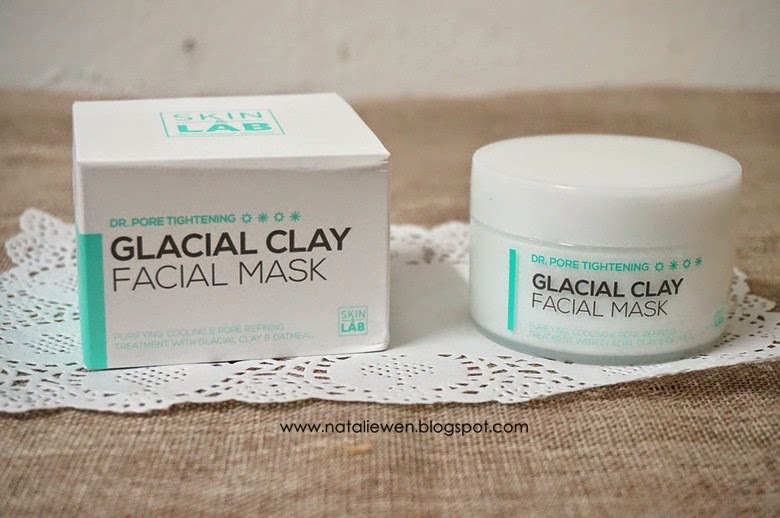 How to use this Clay Mask? 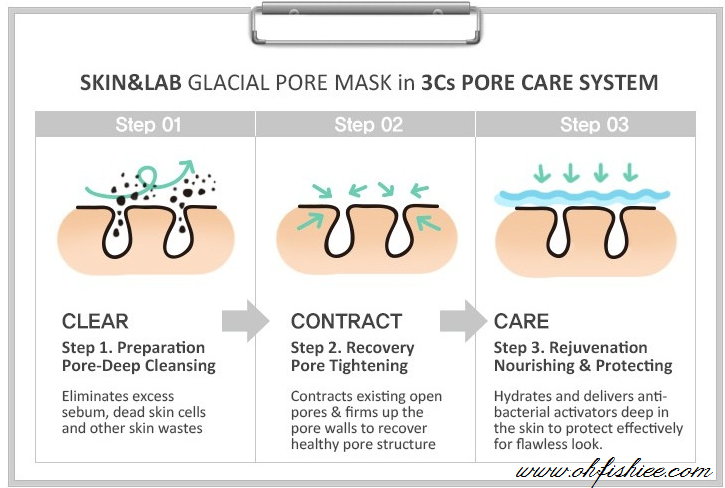 After your cleansing process, apply amount of mask on your face and avoiding direct eye and mouth area. Rinse off gently with warm water after 10 to 15 minutes. Oily skin use for 2 times a weeks / 1 times a weeks for normal skin. Attentions! A little note reminder for you! 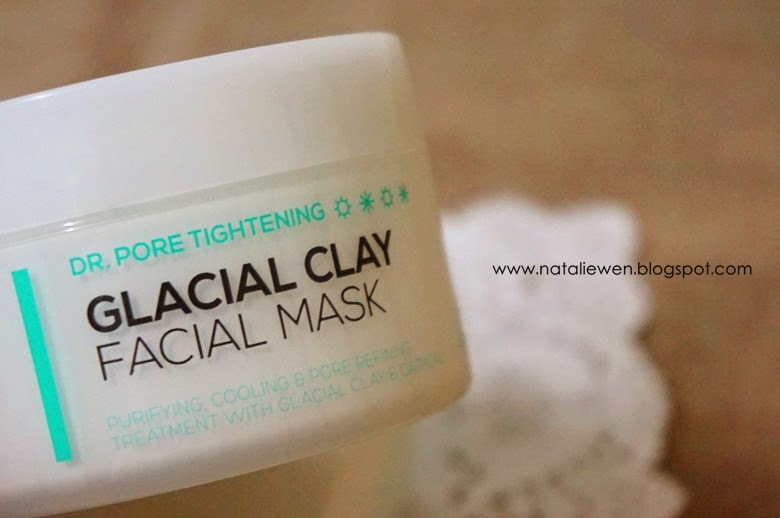 There is a little minor sharp pain sensation on the skin when using this clay mask. However, the tingling feels will decrease after a while. Besides, when the mask start to dry which means when the mask colour become lighter, you can wash off the mask and apply toner after that. I love the cleansing and tightening effect of this mask so much. 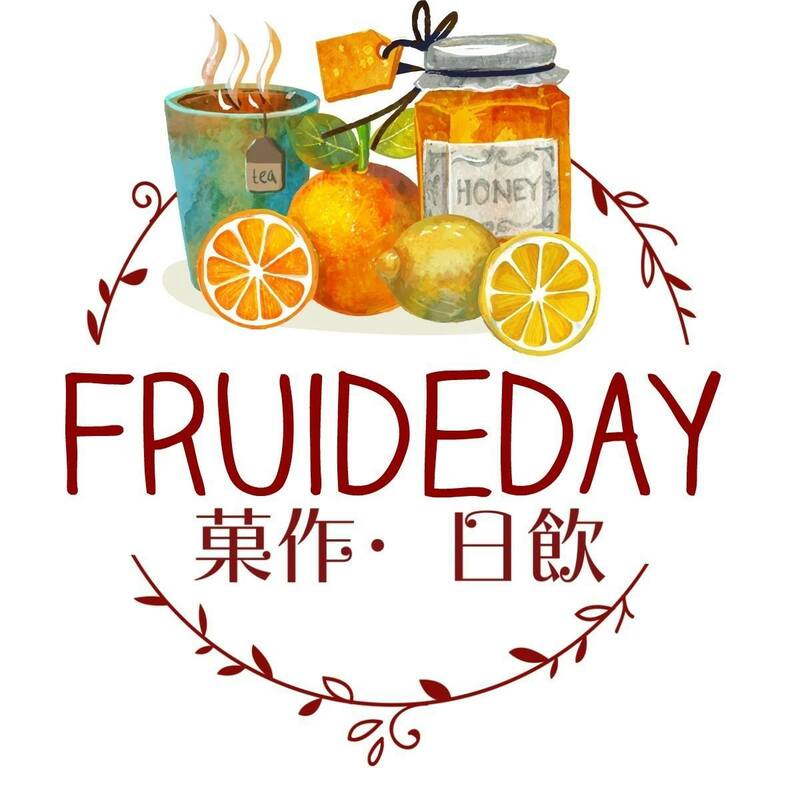 It make me feel so refresh and I found that the next day when I woke up I feel my face aren't oily. However, I do not like the smell of the clay mud, it a bit smell like mud and seaweeds. I perfer sweet smell instead of this. Where to get this ? ?